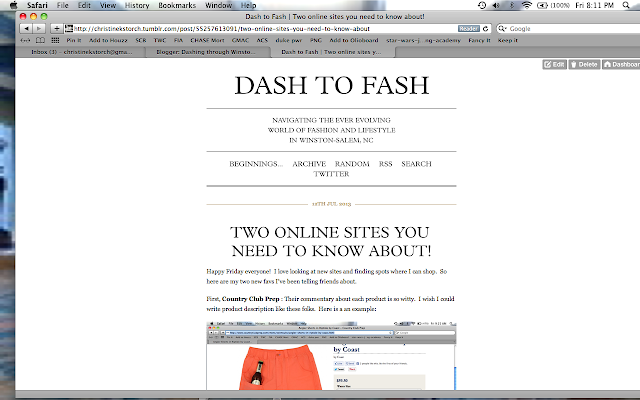 Well I have been blogging just on the Tumblr, format. Don’t know what Tumblr is? It is a micro-blog. It is suppose to be an easier way to blog. I haven’t decided yet if I’m going to bring it back to blogger, so give me your thoughts! Happy Friday everyone! 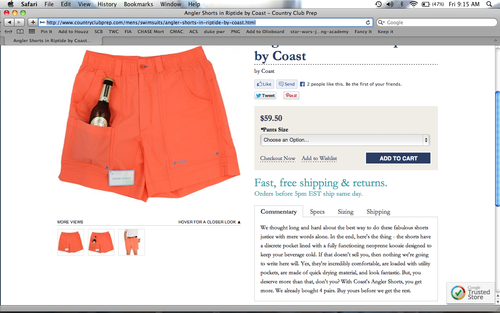 I love looking at new sites and finding spots where I can shop. So here are my two new favs I’ve been telling friends about. That is fabulous commentary! Kuddos to the folks at Country Club Prep. The site has ladies and kids as well. They have thought of everything. Plus if you order by 5pm, it ships out the same day. Glorious!!! On to the Second Site : I am currently loving is Social Primer, part blog, part bow tie website, part fabulous living this site has the complete package. Started by K. Cooper Ray, his bio made me feel like I needed to take a nap with all he has done so far in his life. Currently he has a collection of bow ties through major retailer Brooks Brothers as well as his own bow ties. His blog is a must read for any Southern or person who aspires to live the southern lifestyle. Also, you get to see the jet setting lifestyle Cooper lives you get an inside peek at parties, charity events, and such. 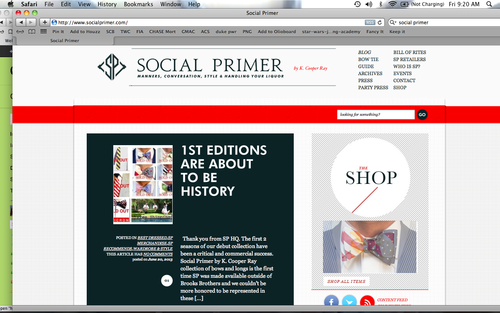 Advice about clothing, manners, and such makes Social Primer a must read. Happy Weekend, it has been raining here in the Dash for the better part of three weeks now and we are all a little tired of it! Which is probably why I have been shopping online so much. Here’s to the hope of a Sunny Day. « Previous post link Should I start up again? ?